A beautiful Vegvísir symbol Viking or Nordic Heathen's talisman, also known as the Runic compass, it includes '18 sterling silver chain. The energy of Amethyst is said to open and unlock the intuition, and third eye chakra and to increase and heighten psychic senses. 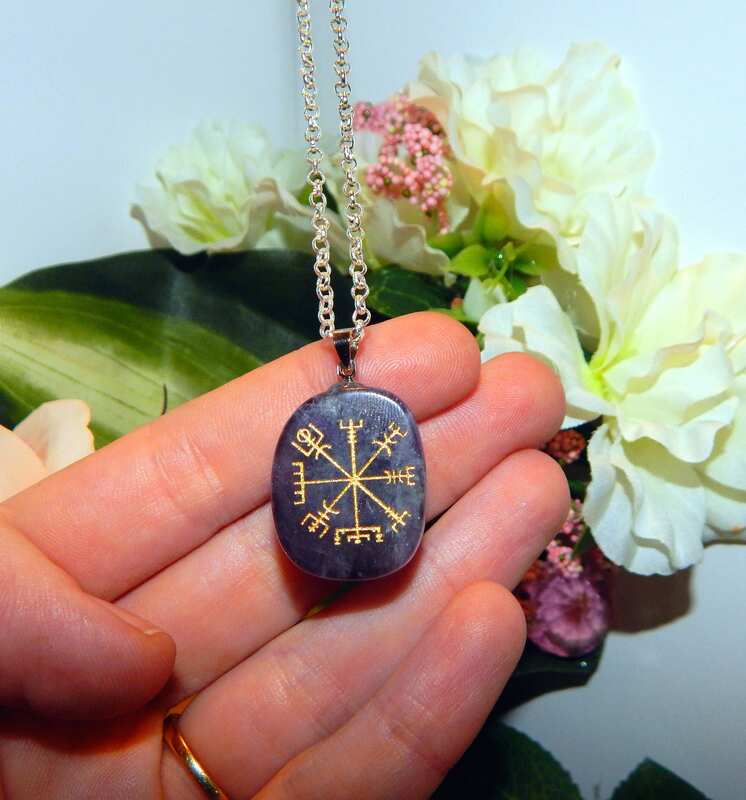 The Vegvísir, is a magical symbol of navigation and may also be connected with actual compasses. 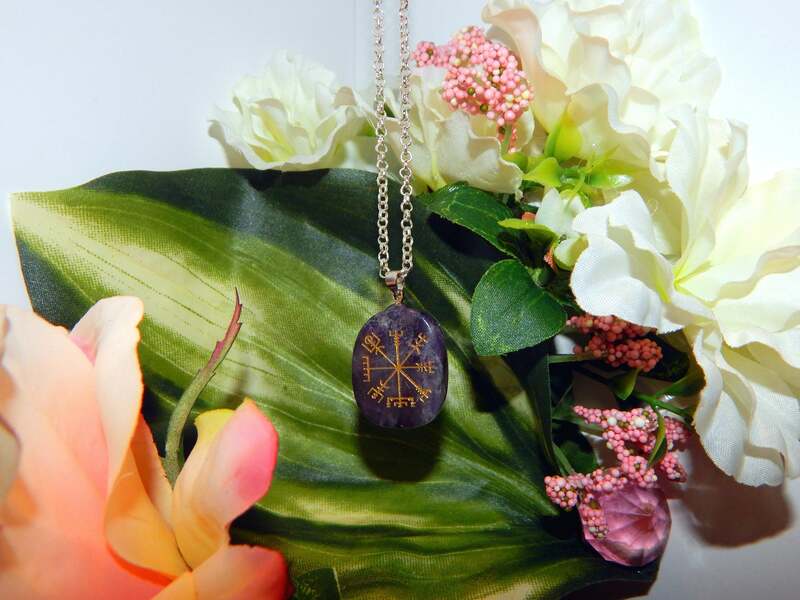 The Vegvísir literally means in Icelandic ‘guidepost’ and is sometimes colloquially called today a Runic or Viking Compass. Vegvísir can be found in the late 17th century Icelandic manuscript known as the Galdrabok (it’s essentially a grimoire). Here it is a symbol of magic. We know from the manuscript that the symbol would be inscribed in blood on the forehead of the person using the charm so that they will not become lost and find their way.